SOS has continued to follow the work of the active PAWS group, I can see that they have been keeping everyone busy with FOI requests. They are on a mission, and I have been reviewing her findings and posting the relevant information on the Save Our Spring website. One thing that I noticed was missing in her FOI package, was the communications that we had regarding Spring Valley and the non-conformance with the Small Drinking Water SystemGuidelines. Also, when you were asked not to attend the Oct 5th board meeting or the Spring Valley Meeting. It always struck me as a very unusual experience working with Chris Krucker and the SOS team. Comparing my notes to Erin’s, I realized that this was very likely a larger collusion that could verge on criminal, as such I uploaded all communications that I had with SOS Executive team regarding the outcome of the well. I was very disappointed to find out that Councillor Ferguson pushed a bylaw through on Sept 17th 2017 relating to the outcome of the well and the public easements that was not disclosed. Further investigation is continuing, and yes we are still looking for the health order to shut the well, I think it will be embarrassing when you add up how many times Lloyd Ferguson said the word Arsenic in the news, when there was never a health order, and signage is all that is required. In July 2017 the HCA was informed that the Ancaster Well was not a small drinking water system. In Oct the Board of Directors passed a motion to fence on the basis that the Ancaster Well is a small drinking water system. We all know this is in error. PAWS & SOS recently hosted a meeting at the Copetown Lions Club to discuss the results of the FOI research and continuing research. A group of about 40 people showed up, more than I had anticipated, more than a year on. The website still gets thousands of hits – with the most hits going to your Oct 5th board decision – that page has been accessed 8000 times. I am guessing there might be others questioning that decision. Would the Hamilton Conservation Authority consider making an apology for the error in classification and removing the fence and returning the well to public access.? If the HCA would consider this there is a group of people that would like to establish a Heritage Application for both wells, the Ancaster Well – or “Saline Spring” and the Sulphur Spring - part of the Historic Mineral Springs Community. I believe we could get grants and funding to restore the area to something deserving of its beauty and honor, in keeping with your previous awarded Natural Areas Protection Grant, and Niagara Escarpment Project Grant. A public water access area is something our community could really be proud of. I would like you to please consider this as a positive alternative to what could be a rather ugly court case, of which you will lose, because the research continues. The HCA should make an effort to lead in Conservation not Capitalism. 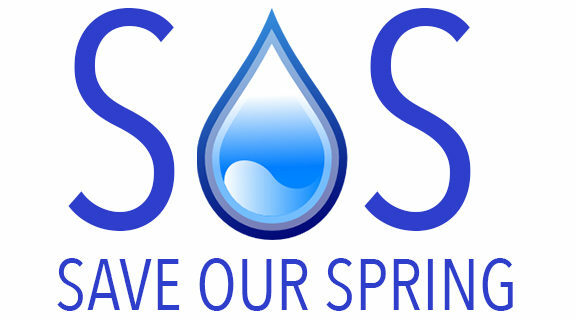 The SOS Group and PAWS and a large of the community believe that we should hold both the saline spring and the mineral spring in public hands with the ability to limit commercial use in times of crisis. This will not go away, and we should do the right thing. Please take some time to discuss with those involved, especially the staff member that made the error in classification, perhaps they could be reprimanded and apologize, Gord Costi – Matthew Hall & Scott Peck who were present at the meeting when this was discussed.